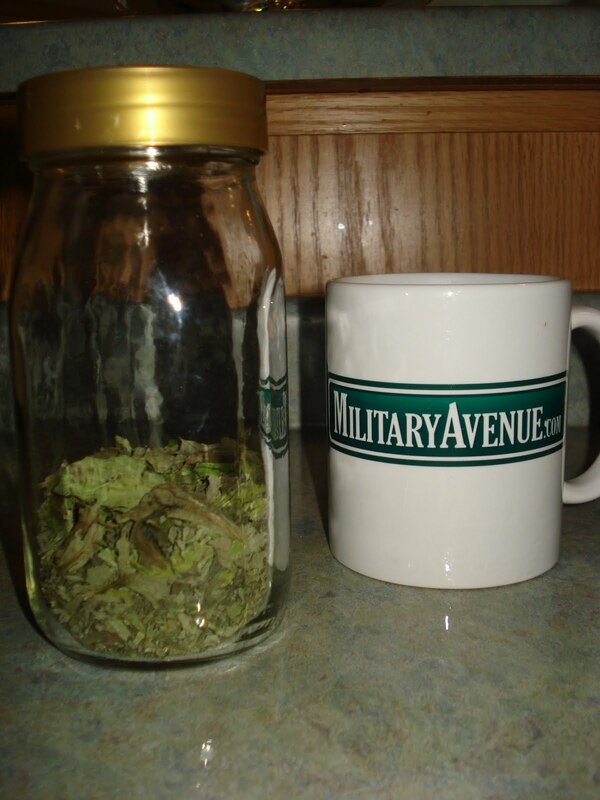 The Military-Family: Tasty Tuesday: Basil, Basil Everywhere! A large dehydrator has 5 shelves. 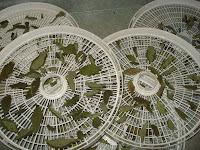 One plant per shelf fills the dehydrator which takes 24 to 36 hours to dry to flakiness. Therefore every two or three days I have been pulling plants. 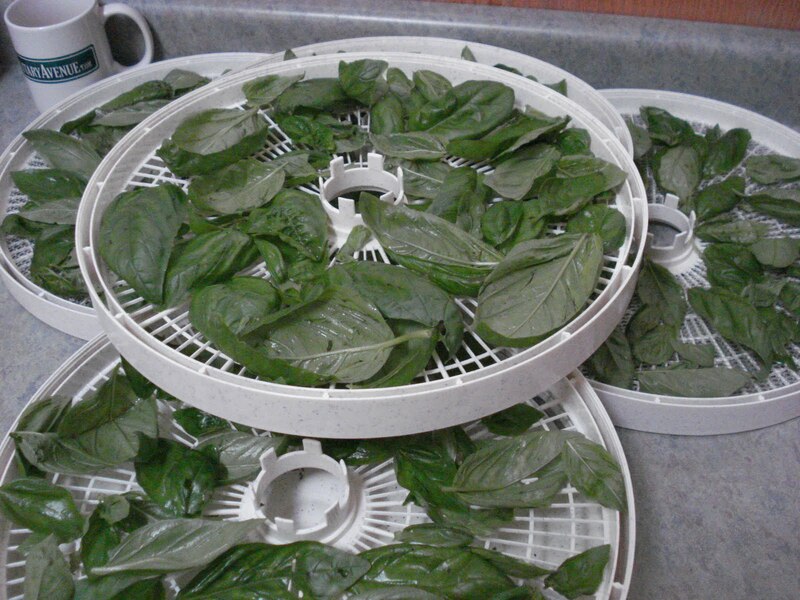 And the room smells wonderful where the dehydrator sits on a tray. Patience brings in some great spices that will last all year long. Although last year I ran out in March. So you can believe more will be put away this year! Make certain that your leaves are clean. You do not want to store dirt or bugs for the winter, life seems to have enough f resh grit like that around. Rinse and rinse under cool water. 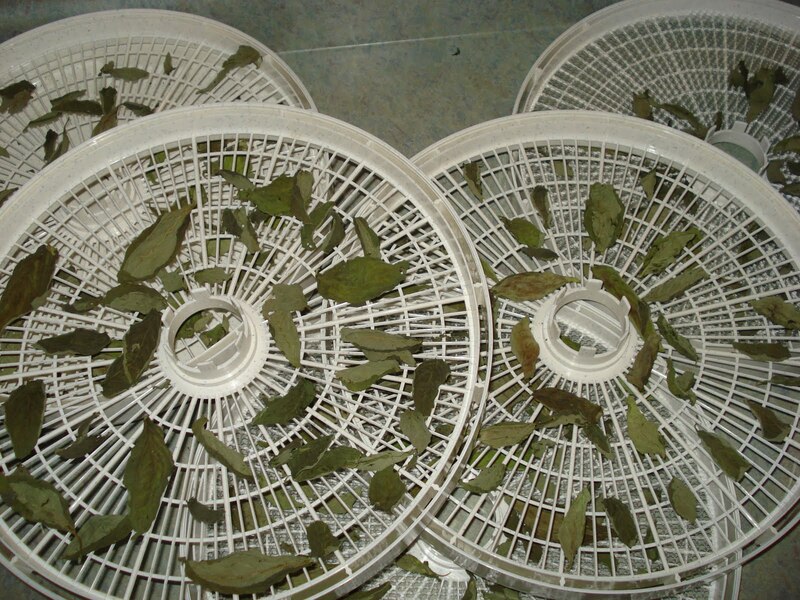 Let the leaves sit on a towel for an hour before placing on the shelves. 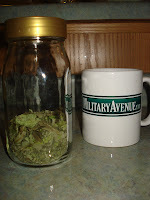 This allows some of the residual water to evaporate or dry off. These five trays dried down to about 1 cup of dried basil! Amazing. Plans for the year are happening as you do this job. Fun to prepare for the family this way!